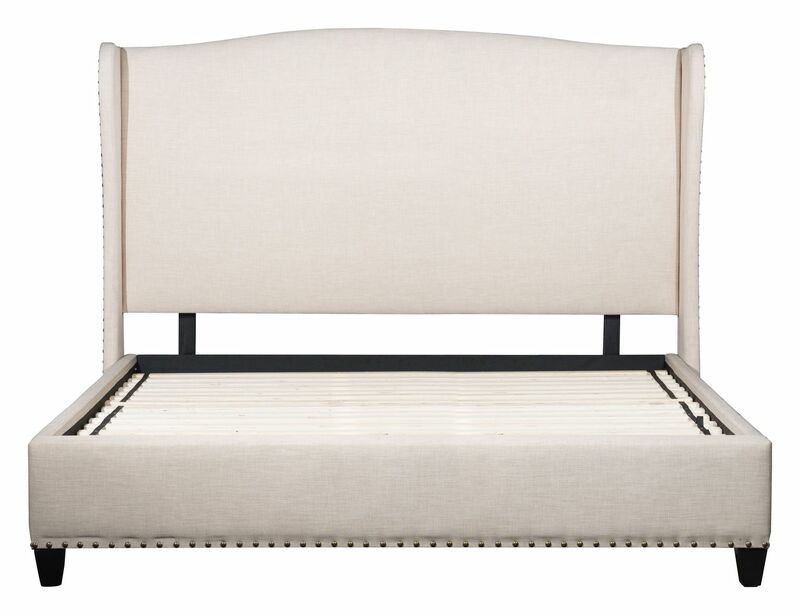 Enlightenment king bed is elegantly upholstered dove grey poly-linen fabric featuring bronze nail head details to wing-back styling and long side rails for added sophistication. 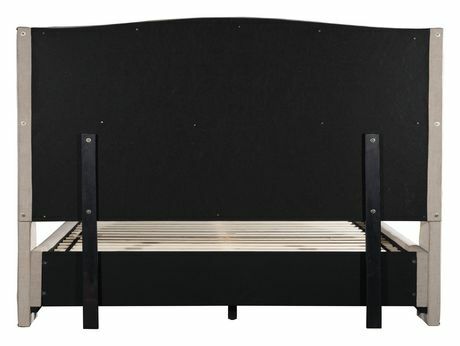 European slat system needs mattress only for ultimate comfort. 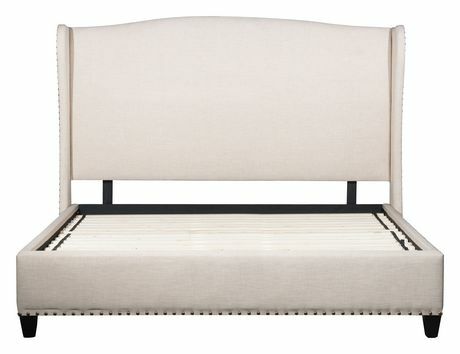 Collection includes queen, king beds or full headboard only.